Unicorn Crown and a Very Happy Bat! Criminals Beware! 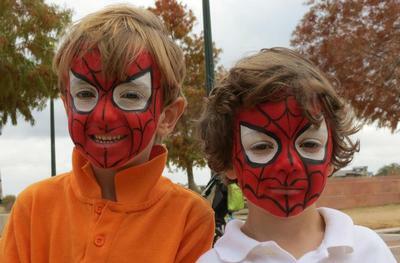 The Spidermen are here! 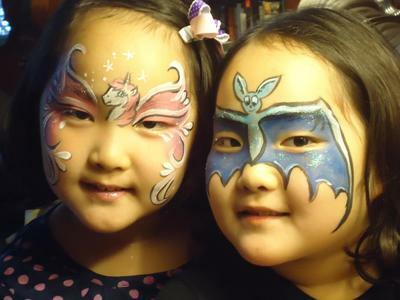 Fun, friendly and creative, you can enjoy a quality face-painting for your special occasions! 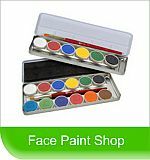 I also paint adult faces for masquerade balls, nights out, proms or festivals. Based in Round Rock, I am available in Austin, Cedar Park, Georgetown, Pflugerville as well as the surrounding areas. Juliet is truly a MUST-HAVE if you want your party to be a huge hit! Kids love her, parents love her, everybody loves her. She is extremely patient and skilled when working with children. And her face painting is absolutely stunning. Every time my daughter and I attend an event, she asks me if Juliet will be there. 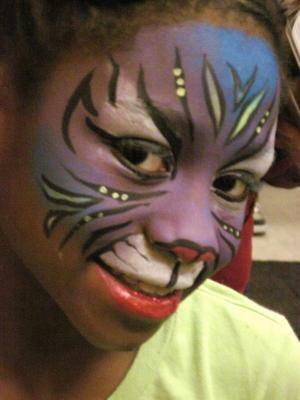 Juliet's face paintings are imaginative and beautiful. She makes the experience fun and easy going. My son loves getting his face painted... And so do I! Thanks Juliet! 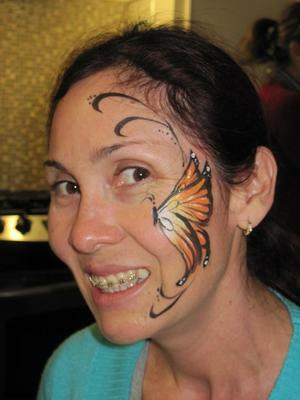 Juliet attended my company picnic as the face painter, and was a great addition to the party! The kids were delighted to get painted with whatever art ideas they could dream up. Many of my coworkers also decided to have their faces or arms painted when they saw the quality and variety of Juliet's work on the kiddos. Juliet was fun and efficient, and very easy to work with.